Russia is famed for pointless paperwork and the enthusiastic nature of its policemen to fine you (and keep the proceeds) so we have been VERY careful to drive below the speedlimit and not attract any unwarranted attention From the Police. We’ve been stopped a few times – like everyone else at checkpoints – and found the police to be generally helpful and polite. We’ve only had one lot try to fine us (for going over a white line which apparently is regarded here as a much more serious offence than say fiddling the country out of a few billion and then buying a football team) but just stick with the “No and sorry I don’t understand” and after about 5 minutes they move on to some less obstinate individual. You see them fining people every few miles as you drive. It seems that if you are guilty you get to sit in the police car and watch a video of your crime on the police laptop. And Russians are like moths to a flame for it. They speed happily, don’t wear seat belts, undertake and use their phones with gay abandon and all the policeman has to do is stop the next car that passes and its sure to be guilty of something. Its like shooting fish in a barrel. The bureaucracy though is in a league of its own and God knows (or possibly even he is flumoxed) how they will get tourists and competitors In to Russia for the winter Olympics effeciently. You need a visa to get in – fair enough, you must apply for it less than 90 days before entry in your country of residence and must state the dates of entry, ok a bit more tricky for us but we managed it as we have 2 passports each, you must then register your visa when you arrive AND stay in one place for 3 nights. If you don’t stay anywhere for 3 nights then you don’t need to register your visa until you do, and indeed hotels won’t register your visa unless you stay 3 nights, but if you arrive in Moscow after 9 nights and haven’t registered your visa like us, then you will be fined because you haven’t registered your visa because you flippin well couldn’t cos they won’t let you! But, the great thing about Russian bureaucracy is that it seems unable to cope if you say no. The police backed down from their fine and once we said no to the fine for our visa it was registered no problem and the staff became smiling and helpful from the grumpy and sullen they had started with. It is baffling. 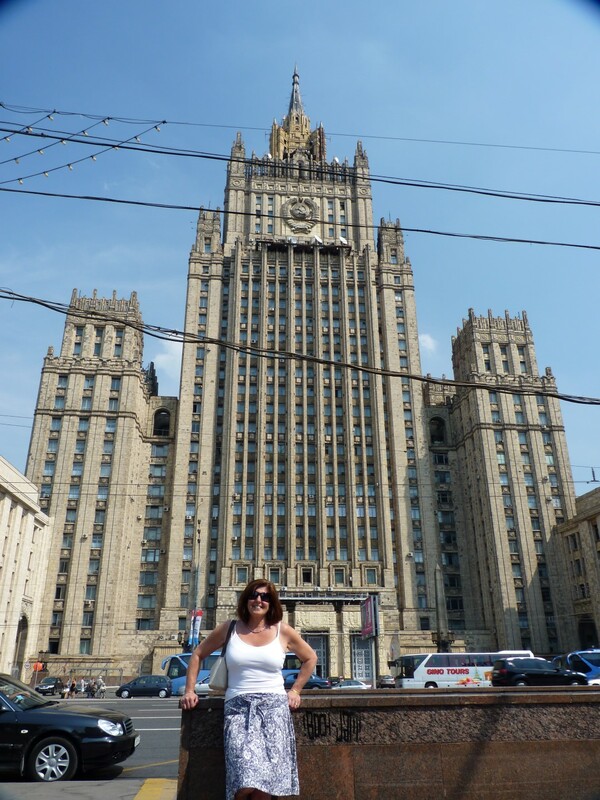 Oh, and we tracked down the tourist information office in Moscow but it closed last year! Unbelievable, this is one of the most beautiful cities in the world, so they close the tourist Information office, that’s Russia!